Narrowing down a selection of the best steakhouses in Mississippi is a challenging task. If there’s one thing we’ve learned, it’s that there are a lot of great steaks in our state. From the Delta to the Coast, and everywhere in between, Mississippi is consistently serving up prime cuts of beef. Here are the 10 best steakhouses in the state. You might never heard of Sebastopol, Mississippi, but this little town hidden east-northeast of Jackson is home to one of the best steakhouses in the whole state. Lee's Steakhouse is a casual family-style restaurant with small-town friendly service and steaks that are regularly described as "melt in your mouth." Tico's Steak House in Ridgeland, Mississippi, is a Jackson-area favorite. It’s been open for nearly 30 years, and is owned by Tico Hoffman, a former golfer and long-time restauranteur. Customers come in for the top-of-the-line steaks and seafood, but it's Tico's warm and friendly personality that have kept them coming back through the years. The Old Hickory Steak House might not look fancy, but it has been a favorite in Columbus since 1968, and they've been recognized by Mississippi Magazine and others for their great steaks. This casual steakhouse grills their steaks on a charcoal grill out in the open for a homestyle feel that tempts you as soon as you walk in the door. It's hard to pick which of the casinos on the Gulf Coast has the best steakhouse, but Mignon's at the Palace is routinely praised as one of the finest. This elegant restaurant is perfect for a special occasion, and locals and visitors alike will enjoy the perfectly prepared steaks, seafood, and sides. If you ask anyone in Greenwood, they'll tell you that Lusco's is the place to find the best steaks in town. This cozily decorated restaurant has been serving up delicious foods for 80 years, and they're still in the original location. They've even been selling their popular sauces and salad dressings since 1984. In the Jackson area, you know there are plenty of opportunities to get a great steak. What sets Shapley's apart is the atmosphere. This exceptional fine-dining restaurant is known throughout Central Mississippi for being the premier destination for special occasions. Be sure to ask for the perfect wine recommendation to accompany your steak. Sully's in Hattiesburg has made a name for itself by offering delicious food—-including tender, juicy steaks—-in a laid-back atmosphere which regularly features live music. 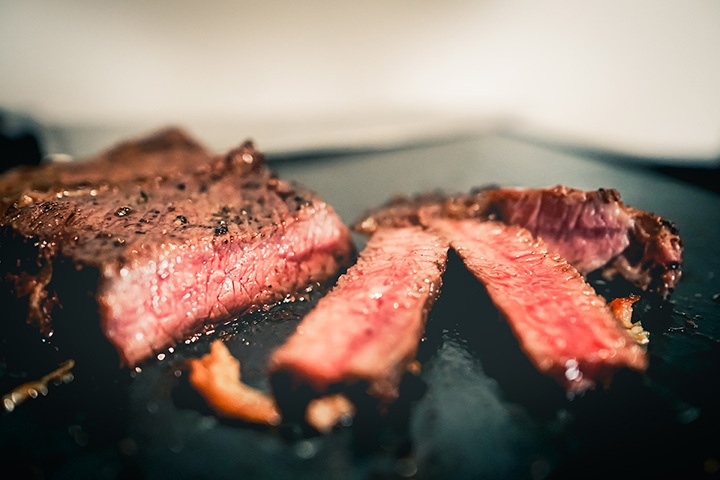 All of their steaks are aged for at least 21 days and are hand-cut to order, and they'll be happy to cut a larger portion for you if you prefer. If there are two things the Kiln is proud of, it's being the home to native son Brett Favre, and Dempsey's, which moved to their current location after Hurricane Katrina destroyed their original Waveland spot. If you can pass on all of the local seafood options, they also have several mouthwatering steak choices, all aged and grilled to perfection. Russell's Beef House has been serving the Corinth area since 1978, and is still run by the family of the original owner, Troy Russell. The steaks are still cooked over an open charcoal pit and seasoned with Troy's secret sauce recipe. The menu is simple : Mostly a variety of steaks, including ground sirloin, plus a few other options for anyone not in the mood for red meat. Like some of the other excellent choices on our list, Duke's Steakhouse in Pelahatchie is located in an unassuming building in an out-of-the-way little town. They're known for having delicious steaks, excellent service, and Duke's 72-ounce steak challenge, which grants you a free meal if you finish the steak and sides in 30 minutes.